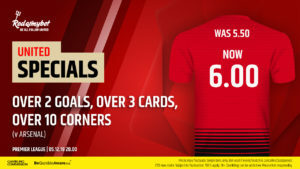 Betting tips and enhanced for United v Arsenal. Mourinho finally on his way out? Mark Hughes might be the one to have gotten the sack following the weekend encounter, but Jose Mourinho must surely be on the brink following the latest dismal effort and the further collapse of relations with the squad. Fred is the latest player to speak in disgruntled fashion, bemoaning the lack of chances he’s had in the team since the opening weeks of the season, culminating in the £52m midfielder losing his place in the Brazil set up. 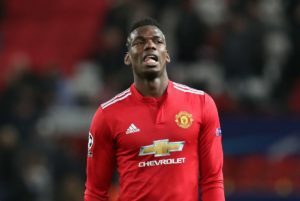 Meanwhile, although Paul Pogba has hardly done himself any favours since his return to Manchester, it’s clear the breakdown between himself and the manager is in terminal decline and at least one of them has to go for the good of the club. Pogba and Mourinho have had numerous issues this season. Mourinho has never been afraid to publically make an example of a player and has seen fit to drop Pogba in the past. It appears highly unlikely the Frenchman will be trusted to start so soon after such an abysmal performance – where he gave the ball away more than Alexis Sanchez usually does! The Chile international and Pogba are both capable on their day at turning on the creative floodgates, but Sanchez is out injured and it’s difficult to see where our opportunities might come from other than through a Juan Mata free-kick, Marouane Fellaini at set pieces or a mazy Anthony Martial dribble. Indeed, the Belgian should find himself partnered with Ander Herrera and Nemanja Matic in the middle, which is hardly a recipe for champagne football. Could Fellaini find the back of the net? Although our away form leaves a lot to be desired as Southampton so emphatically demonstrated by taking a 2-0 lead inside 20 minutes, results and performances at Old Trafford have been even worse. Four wins from 10 fixtures in all competitions is well below the required standard, and it could have been even more embarrassing when considering half of those wins came at the death via late strikes against Newcastle and Young Boys. We were thoroughly outclassed by both Spurs and Juve against the only teams of high quality that we’ve encountered, with the former winning 3-0, and we’d be surprised if this game doesn’t contain goals with the Gunners still better going forwards than at the back. Our chances take a further hit when considering the sheer number of absentees at the back. It’s unclear who will have to play through the pain barrier to feature in the starting line-up, but all of Luke Shaw, Matteo Darmian, Antonio Valencia, Chris Smalling, Phil Jones and Eric Baily are doubts, while Lindelof and Ashley Young are definitely unavailable here. Mourinho elected to utilize a back five featuring Nemanja Matic and Scott McTominay alongside Phil Jones versus the Saints, and if he’s prepared to be so negative against one of the worst teams in the division, he’ll surely park the bus here. 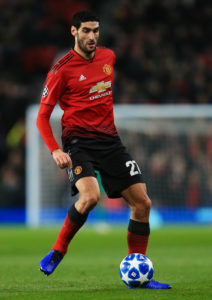 That left Romelu Lukaku isolated despite his goal against the Saints, and with little creativity in the side and little for those up top to feed on, we fancy a punt on a Fellaini header as our most likely source of a goal. Indeed, he scored the winner in his last appearance against the Gunners when they visited at the tail end of last season, while he’s netted twice in stoppage time in his last nine appearances across all competitions. Four of these games saw him come off the bench, but he appears to be one of Mourinho’s few trusted generals in the squad and can be expected to play the full 90 here even if Pogba surprisingly makes the cut.